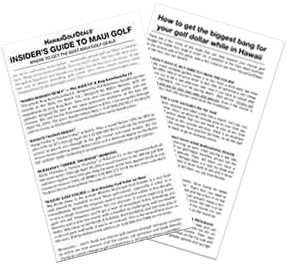 The ultimate Maui golf insider’s guide — HawaiiGolfDeals’ Insider’s Guide to Maui Golf — is the latest terrific addition to our roster of savings. It will save you hundreds of dollars (or more) on any Maui golf vacation and provide useful information about Maui golf courses and hidden deals. This two-part newsletter discloses the absolute best deals every HawaiiGolfDeals golfer can and should enjoy right now and in the near future. As its population exploded and development overwhelmed vast areas of the island, the prevailing attitude among those who own and operate the resort golf facilities became: ‘If you wanna play—You gotta pay’ — top dollar that is. And even though their courses are noticeably underutilized, many of Maui’s golf resort operators haven’t figured out that the worldwide cost of golf has been coming down—not going up, and that avid golfers like you are looking to play a lot of golf on a Hawaii golf vacation. A dozen or so years ago, there were four major resorts with 10 resort courses on the Valley Isle. Now, there are three resorts with seven courses. There are also five courses that are independent, non-resort affiliated layouts. The resort courses charge a whopping $190-$329 + tax for AM golf. PM rounds starting at 12N or 1PM cost $95-$175. It never pays to tee off much later than about 1:30PM or you will not finish due to Hawaii not participating in daylight savings. Maui’s independent courses deliver a much more affordable golf product and are actually a more worthwhile alternative. Like the resort layouts, some are better than others. Rates run from $85-$125 in the AM and $45-$80 in the early PM. It is important to note that several Maui golf courses have high season (Dec. 16 thru Apr. 30) and low season rates (May 1 thru Dec. 15). During the high season, the independent courses are the only game in town when it comes to value. The websites and collateral that flow out of Maui and Hawaii do not tell the story of the reduction of available golf holes on Maui, so be sure to do your research before considering where you want to play golf. It may also affect your overall decision on exactly where to lodge or even which island to visit. It is important to note that The Plantation Course at Kapalua (home to the $329 price point) will be closed for major renovations from Feb. 11, 2019 for at least nine months. All it takes is a little bit of inside knowledge garnered from decades of watching, listening, asking questions and knowing all the venues and vendors of Maui golf. In the low season, you can play five rounds of golf on three resort courses and two independent courses for about $545 including taxes. There are no ads for this deal and you will not find it out from any other purveyor, but we know how it’s done. Or perhaps you need a golf-around in the high season… How’s five rounds of golf on the five Maui independent courses for less than $345 on virtually any day of the week from mid-Dec. thru Apr. for less than $344 including taxes? You will not find this deal from any other source. And how ’bout this deal… At one lovely golf course on Maui, you can play three days of unlimited golf for $195, simply by presenting your copy of our Insider’s Guide to Maui Golf. 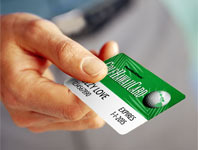 That’s right, three days of unlimited daily golf with shared cart and range balls for less than $200. Our Insider’s Guide to Maui Golf is FREE when you book any element(s) of a HawaiiGolfDeals’ Maui Vacation Package (Air, lodging & Alamo vehicle • Lodging & Alamo vehicle • Alamo vehicle). At the absolute best price on the planet, of course. We’ll even tell you how you can play six rounds of golf at six courses (three resort courses) for about $580 including tax, and play all three resort courses in the morning during the low season. That’s right, you can play six rounds of Maui golf on six courses, including three resort layouts, for an average of about $100 per-round! Or, you can just play the three resort courses or the three other gems. Lots of flexibility whether you want to play just thrice or 10 times or more. We are not joking around or leading you down the primrose path. These are the real deals from our Insider’s Guide to Maui Golf. And there are no middlemen and no service fees involved. There is nowhere else you can find this valuable and money-saving information. And it’s absolutely free to HawaiiGolfDeals’ Maui guests. 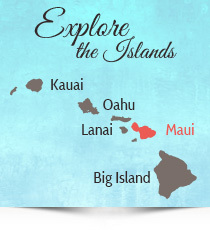 Are you aware that Maui is actually two islands connected by a fertile isthmus? This means you have to decide between the west side or the south side, which are about an hour apart in moderate traffic. Four golf courses are on the far west side and the other eight are in pretty close proximity to the south side lodging options. So, where’s the best place for the avid golfer to lodge? You got it. Book the best Maui Golf Vacation by contacting us for Alamo vehicles, accommodations, and general Maui travel information. Book your Maui Vacations with us and enjoy huge savings. Our knowledge of Maui accommodations, tourist attractions and great travel experiences ensures you’ll get the best vacation in Maui. You can select and enjoy the best of Maui Golf and Hawaii attractions including Oahu tours, Big Island Hiking, Kauai Sport Fishing, Honolulu Food Tours, and Sunset Cruises among other activities. Your Vacation in Maui will be an experience you and your family will never forget. If you’re a golfer, you’ll be playing as much golf as you can while in the Hawaiian Islands. It doesn’t get any better than this. Book the best Golf Vacations in Maui, Kauai, Oahu and The Big Island today.